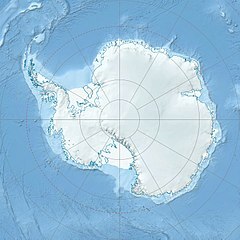 83°42′S 55°8′W﻿ / ﻿83.700°S 55.133°W﻿ / -83.700; -55.133) is the major west-facing escarpment of the Neptune Range, Pensacola Mountains in Antarctica, extending some 50 miles (80 km) and being the point of origin of a number of west-trending rock ridges. Mapped by United States Geological Survey (USGS) from surveys and U.S. Navy air photos, 1956-66. Named by Advisory Committee on Antarctic Names (US-ACAN) for the University of Washington at Seattle. Several members of the Neptune Range field party of 1963-64 attended this university. This article incorporates public domain material from the United States Geological Survey document "Washington Escarpment" (content from the Geographic Names Information System).